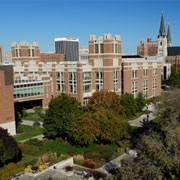 Marquette University no longer offers a voluntary student health insurance plan. As a result of the Affordable Care Act, most Marquette students are entitled to coverage through age 26 under health care policies purchased by their parents. Marquette students who otherwise lack access to health insurance may purchase policies through health insurance exchanges. A health insurance exchange is a place where consumers can purchase subsidized health insurance coverage. Exchanges are online marketplaces--interactive websites where shoppers can research all of their options compare offerings and buy health insurance. Since the Affordable Care Act no longer allows insurers to deny coverage or charge people more based on their health status or pre-existing conditions, people without coverage, including those who have been unable to buy coverage in the past, can now shop for health insurance through health insurance exchanges. The Affordable Care Act provides tax credits and subsidies for qualified individuals to help make insurance purchased on a health care exchange more affordable. 1. Select the health insurance company and network of doctors you want included. 2. Select a level of coverage (each plan has four levels of coverage called metal plans--Platinum, Gold, Silver and Bronze--each based on a percentage of coverage amounts). 3. Select a premium you can afford--remember, you may qualify for a federal subsidy. All plans on an exchange have to offer some core benefits--called essential health benefits--like preventative and wellness services, prescription drugs, and coverage for hospital stays. Graduate Assistant Health Insurance - No longer offered. The following health insurance information from WPS is provided solely as a resource to students. Marquette University does not own, control, administer, or endorse the health insurance plans provided. It is the responsibility of the student to evaluate the health insurance plans and to select the appropriate plan for his/her individual circumstances. Students should send all questions/inquiries directly to WPS. Health insurance coverage for international students and scholars is again available through AMA and is mandatory. The plan information below provides details on coverage benefits, enrollment for spouses and dependents, and continuation coverage following graduation. If you have questions or concerns about International Student coverage, please call AMA at 1-888-533-7654 between 8 AM and 4:30 PM EST Monday through Friday. Which physicians or hospitals are in the network? Marquette University Medical Clinic (formally Student Health Services) and Marquette Sports Rehibilitation Clinic are in the network. Contact your insurer to determine if other providers are in the network, as network participation by providers changes from time to time. How do I arrange for payment for medical services? Students should take their insurance cards with them and present them to the provider for direct billing of medical services where permissible. I don’t think my claim was received or it may not have been paid correctly. What do I do? Students should obtain and review the applicable Explanations of Benefits (EOB) from the insurer to confirm which claims have been paid. If a student believes that a claim has not been paid correctly, the student should provide all details of the services and the payment or failure to pay to the insurer, along with the name of the provider(s) and date(s) of the claims in question.